Shop online for 33 jsworks plastic models at discounts up to 20%. 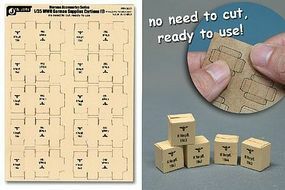 This is the 1/35 Scale WWII German Supplies Cartons (10pcs) (Pre-cut Cardboard) from J's Work Models. 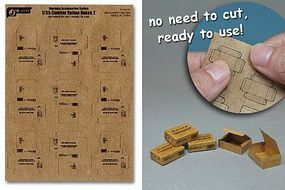 This is the 1/35 Scale Combat Ration Medium Boxes (9pcs) (Pre-cut Cardboard) from J's Work Models. 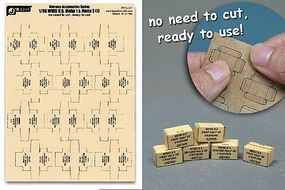 This is the 1/35 Scale WWII US Military MRE Small Boxes (12pcs) (Pre-cut Cardboard) from J's Work Models. 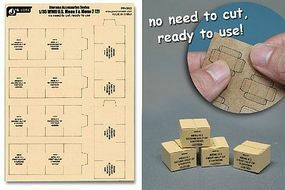 This is the 1/35 Scale WWII US Military MRE Large Boxes (6pcs) (Pre-cut Cardboard) from J's Work Models. 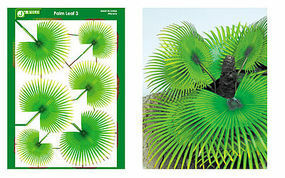 This is the Multi-Scale Typical Palm Leaves (Colored Paper) from J's Work Models. 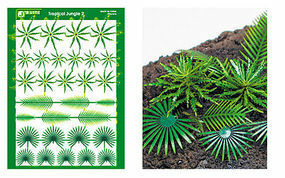 This is the Multi-Scale Tropical Jungle Fern & Palm Plants (Colored Paper) from J's Work Models. 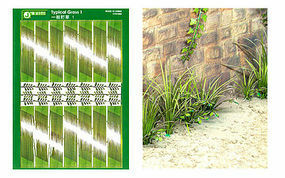 This is the Multi-Scale Typical Grasses (Colored Paper) from J's Work Models. 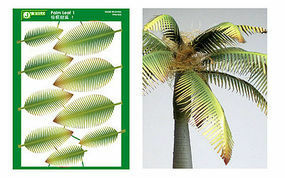 This is the Multi-Scale Palm Fan Leaves (Colored Paper) from J's Work Models. This is the Multi-Scale Vines (Colored Paper) from J's Work Models. This is the 1/35 Scale WWII US Army Shelter Tent #1 (Olive Green & Khaki) (Pre-cut Cardboard) from J's Work Models. This is the Multi-Scale Climbing Ivy (Colored Paper) from J's Work Models. This is the Multi-Scale Typical Autumn Yellow-Red Small Leaves (Colored Paper) from J's Work Models. This is the Multi-Scale Typical Autumn Yellow-Red Large Leaves (Colored Paper) from J's Work Models. This is the Multi-Scale Oak Leaves (Colored Paper) from J's Work Models. This is the 1/35 Scale WWII German Army Shelter Tent #1 (Brown Camouflage) (Pre-cut Cardboard) from J's Work Models.